Gul Agha Sherzai | . :: Elections 2014 ::. Work Experience: He was a commander of the Mahaz-e-Milli Party's military wing and headed the unit in Kandahar during the civil war. He became Governor of Kandahar, but was ousted from his post by the Taliban in 1994 before fleeing to Quetta in Pakistan. He returned as the head of a 3,000 strong militia in 2001 to re-take Kandahar with US backing and assumed the role of Governor once again. His seizure of Kandahar marked the first territory captured in the south from the Taliban. In August 2003, President Hamid Karzai decreed that officials could no longer hold both military and civil posts, and replaced Gul Agha with Yousef Pashtun as Governor of Kandahar. After serving as a “Special Advisor” to President Hamid Karzai, he was appointed Governor of Nangarhar Province in 2004. He served in that position until 2013 when he declared candidacy for the 2014 elections. He is running alongside Sayed Hussain Alimi Balkhi as First Vice President and Mohammad Hashim Zarea as Second Vice President. 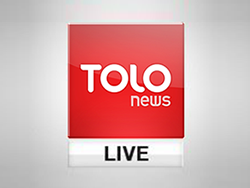 To watch TOLOnews' exclusive interview with Sherzai click here.